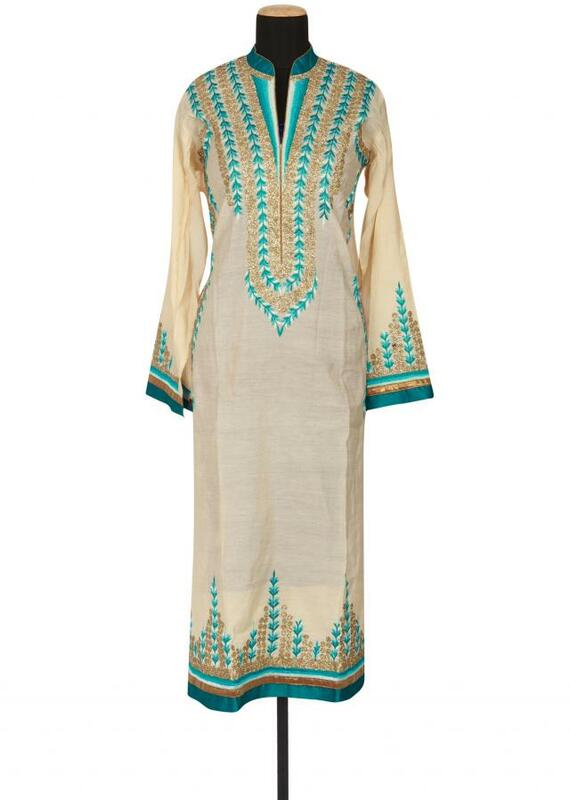 Featuring a cream cotton semi-stitched salwar-kameez embellishment in resham and gotta patti. Border is in green cotton silk. 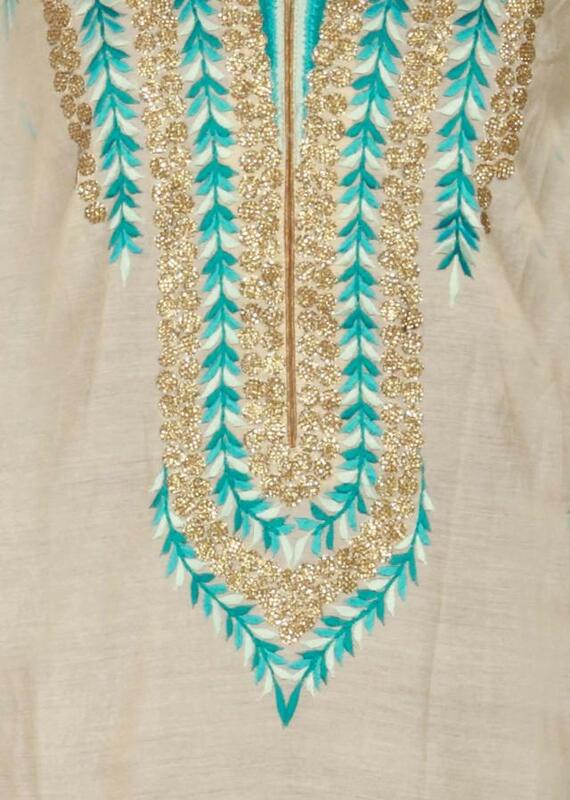 Neckline has a green collar and front opening. 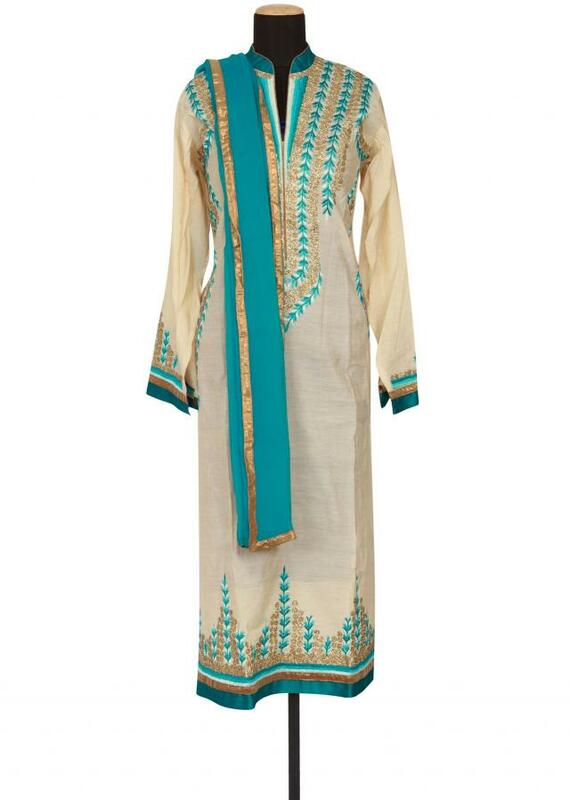 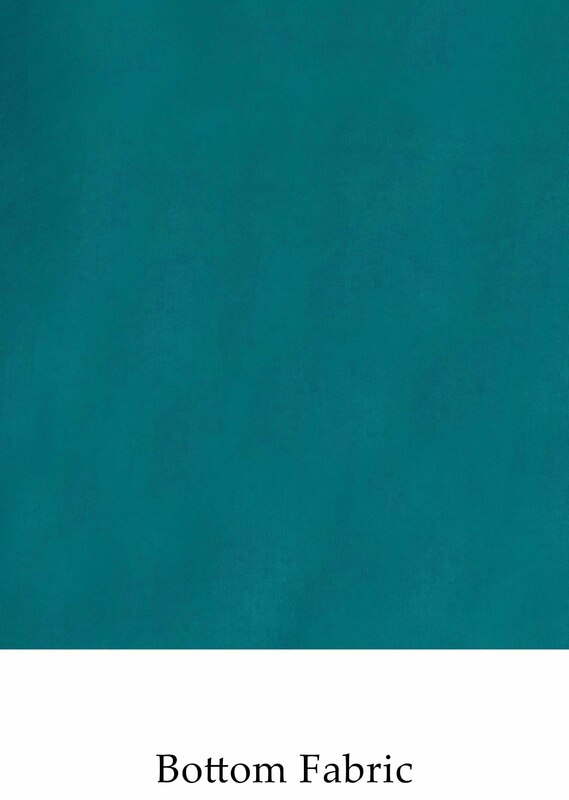 It comes with a turquoise cotton silk unstitched fabric. Dupatta is matching featured in chiffon with bronze lurex border.